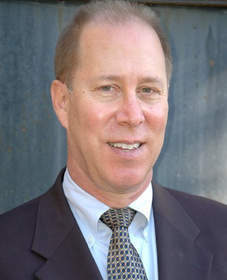 SANTA MONICA, CA--(Marketwired - Jul 21, 2015) - Attorney William Rothbard, a recognized expert in online and direct response advertising who served as a former senior staff official and Attorney Advisor to the Chairman with the Federal Trade Commission, recently presented a fact-filled seminar on the latest legal issues affecting merchant processors. Rothbard's in-depth analysis of FTC regulatory and prosecutorial trends is an invaluable source of advice for any online marketing executive to receive, with a number of particularly insightful tips to help combat the regulatory threat. William Rothbard stressed the fact that payments industry exposure to FTC risk has reached an all-time high, both in terms of the political environment and increased regulatory scrutiny of the merchants it serves. According to him, primary industries receiving particular FTC attention include services to financially distressed consumers, free trial options, dietary supplements, business opportunities, and affiliate marketing. Another potential FTC risk, Rothbard indicated, arises from the systemic complexity of processing relationships where every player within the multi-leveled processing chain -- Independent Sales Organizations (ISOs), payment facilitators, hosting payment providers, and the like -- faces potential liability for questionable business practices of their merchant-clients. The past 10 years have seen more than 20 significant actions against processors, several resulting in multi-million dollar judgments. Rothbard emphasized that the only way for processors to mitigate their FTC risk is to be active rather than reactive in confronting potential legal risks presented by their merchants. Rather than wait for a high chargeback alert, he suggests, best practices need to be adopted right away to maintain regular checks on merchants' marketing and billing practices, applying continuous diligence, skilled personnel and automated monitoring tools. Negative option marketing and weight loss claims are two hotbeds of FTC enforcement activity that processors need to be particularly aware of in managing their merchant-related legal exposure. Given a bad name by scammers who have abused consumers with the practice, deceptive negative option plans have come under fire by the FTC and can subject violators to significant restitution and civil penalty judgments under the FTC ACT and the Restore Online Shoppers' Confidence Act ("ROSCA"), enacted by Congress in 2010. Rothbard noted that under these statutes, "all terms must be clearly and conspicuously disclosed before the consumer submits billing information, the consumer must give express informed consent to the offer, and cancellation must be easy." He emphasized that the FTC is now routinely seeking ROSCA civil penalties as well as redress for consumers in its negative option enforcement cases. Weight loss products also present FTC minefields. The more specific and numeric a claim of weight reduction, the greater the FTC risk to the merchant and, in turn, to the processor. "Disease treatment" claims, like reducing heart attack risk by lowering cholesterol, or treating diabetes, are also squarely in the FTC's crosshairs. Rothbard explained the reasoning behind these concerns: "The FTC requires at least one controlled human clinical trial for any claim of weight loss or disease treatment to be valid. Claims must accurately reflect the clinical findings and unless the scientific proof is absolutely conclusive, cliché claims like 'clinically proven' will be aggressively attacked by the FTC and should be avoided." William Rothbard has over three decades of experience as a business litigator and advertising and regulatory law specialist. He counsels businesses on regulatory compliance in the areas of marketing, advertising, direct response and Internet law in addition to trademark and copyright matters. He negotiates and prepares licensing, business, marketing, talent, production, media, distribution and website agreements on behalf of his clients and represents them in federal and state deceptive advertising and unfair competition matters.